When driving past Cheyenne Mountain High School, there is no doubt that progress is moving forward rapidly with new steel pushing the building upward each and every day. There comes a sense of reality when things start going vertical; months (more like years) of hard work noticeably coming to life. And as the erection of steel comes to a close, we took the time to honor the work finished and ceremoniously welcome the next construction phases to come. Today, CRP Architects had the privilege of attending the official "Topping Out" Ceremony for the Cheyenne Mountain High School Remodel/Addition project. This is the day in which the building structure is completed (also known as 'topped out/off') with the last piece of steel. In this case, it was the final beam to be placed. In days previous, the beam was painted white and laid out for current CMHS students and faculty members to sign. There was also an opportunity for members of the strategy team, bond campaign team, DAG members, design team, engineers/consultants and site workers to sign as well. Over 150 community members were in attendance including various community leaders, the CMSD Board of Education, CMSD Administration, CMHS students and teachers, project engineers and design/construction team members from CRP and GE Johnson. Everyone watched in awe as the monumental crane (approx. 334,000 lbs & almost 300 ft fully extended) lifted the final beam, swung it 360 degrees (by tradition) and then gracefully lowered it into place. 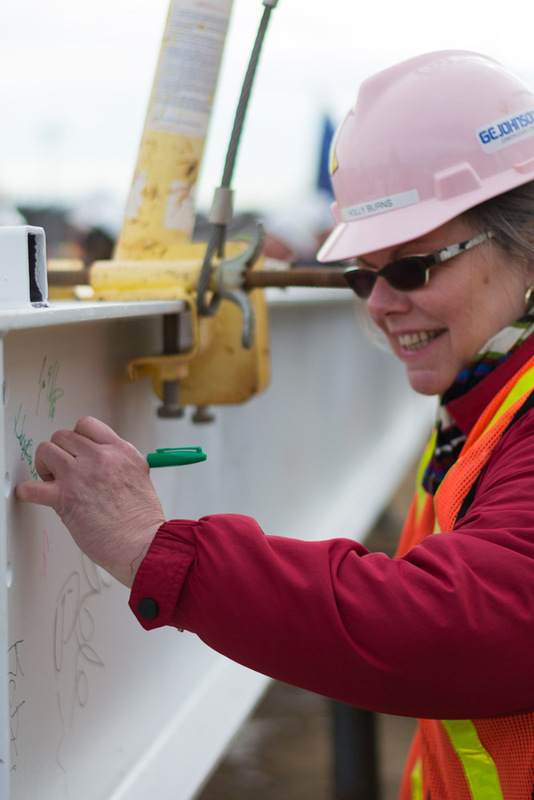 Claps, cheers and tears could be heard throughout the crowd as the beam was bolted tightly into place. This project was a community effort that began in the beginning of 2014 with the Design Advisory Group and a bond strategy team. So being able to festively thank each of those members for their hard work and allow them to visually grasp the progress two years later was a priceless sentiment. GE Johnson went above and beyond in sponsoring this event and helping all those involved forever encapsulate this special moment in their memories. 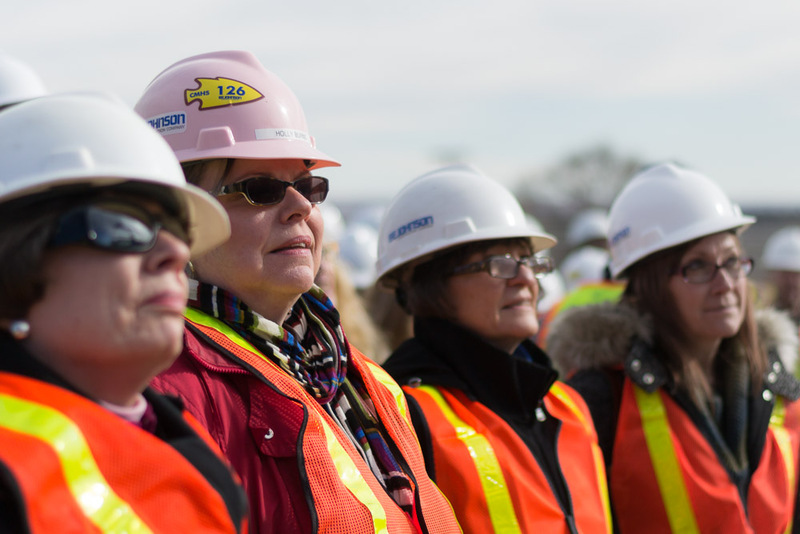 The momentum going into the final construction phases holds a strong sense of togetherness and excited energy. The entirety of the project will be completed in December of 2016.